Week 2 of the MyMixx Challenge! To recap, I'm using the MyMixx feature and the weekly coupon guide within the StarMarket app to grocery shop and create a baked good each week. Almost every single item shown above was on sale and I was able to save over $26 this week - crazy! I got more comfortable with how the app works and shopped much faster this week. 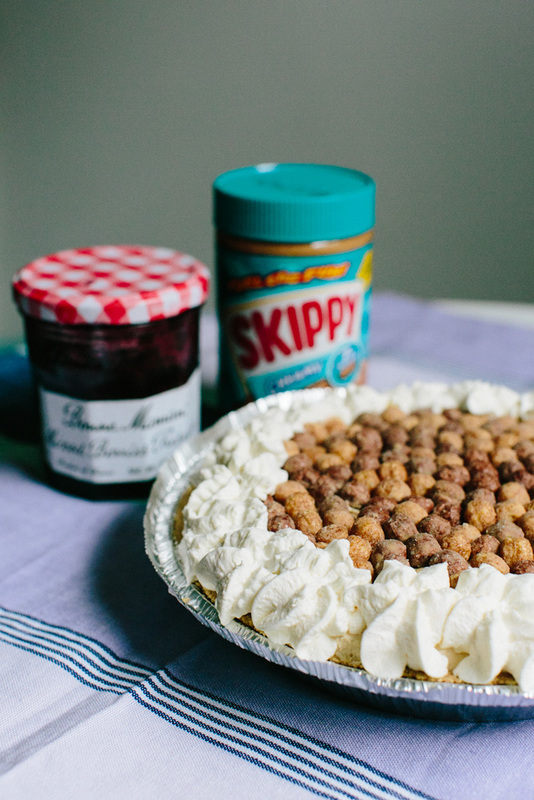 My anchor ingredient from MyMixx was the Keebler ReadyCrust Graham Pie Crust. After I saw PB&J were also on sale - I came up with a plan. 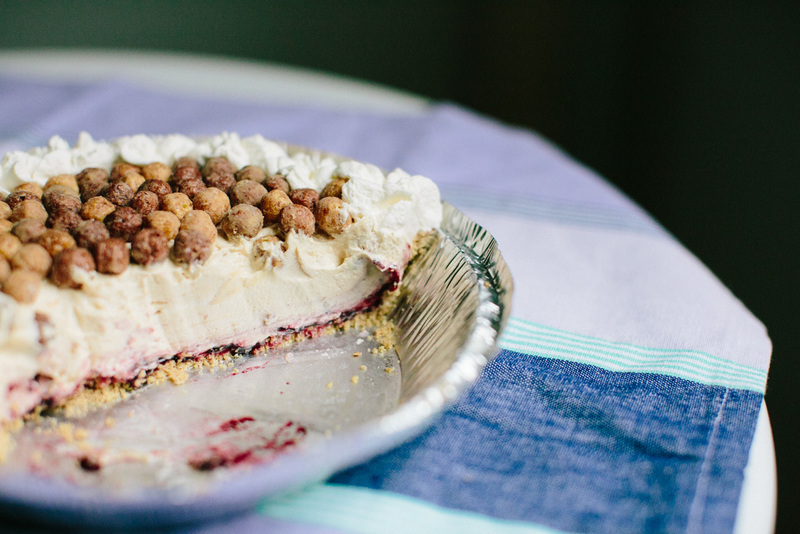 This No-Bake Peanut Butter & Jelly Pie starts with a layer of mixed berry Bonne Maman jam - something that I rarely splurge on and was happy to see on sale. 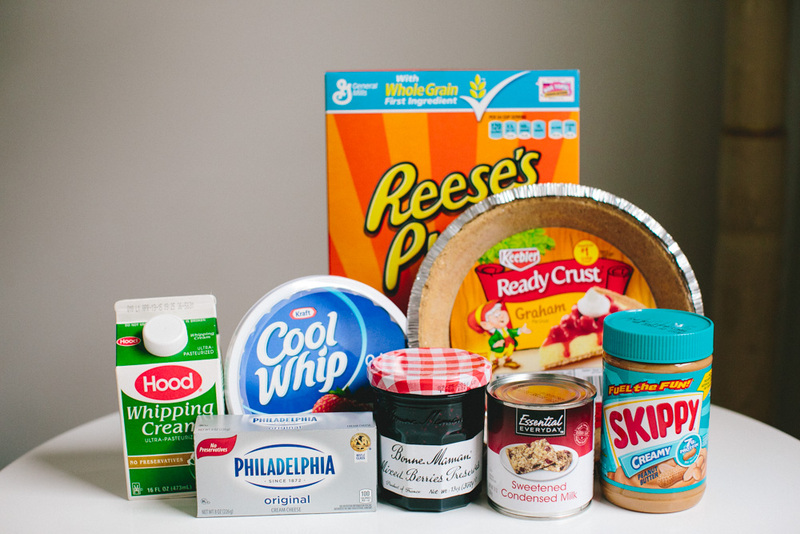 Next comes a generous layer of no-bake peanut butter cheesecake. I love the consistency and taste of freshly ground peanut butter, but there's something nostalgic for me about some creamy Skippy. 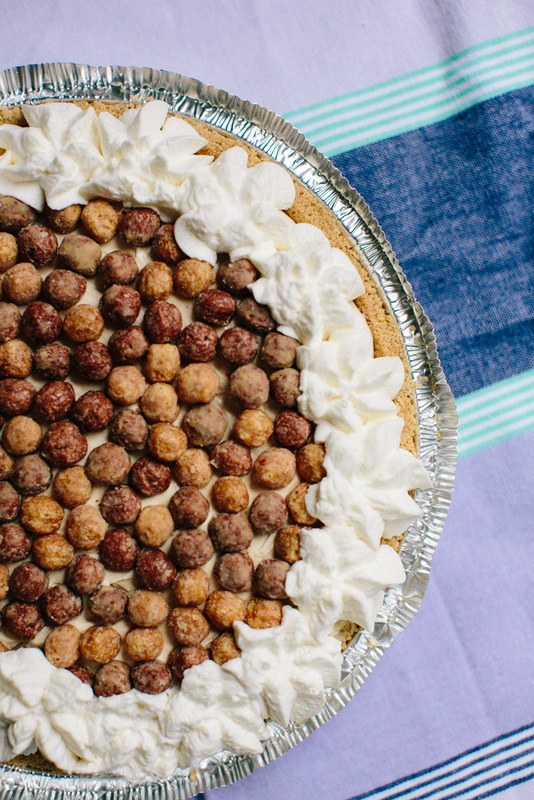 Last a whipped cream topping and a garnish of Reese's Puffs. I haven't had Reese's Puffs since I was growing up and seriously questioned how I ever got away with eating a bowl of sugar for breakfast. After chilling for a several hours, i didn't quite get the defined layers I was looking for but the mess tasted excellent. 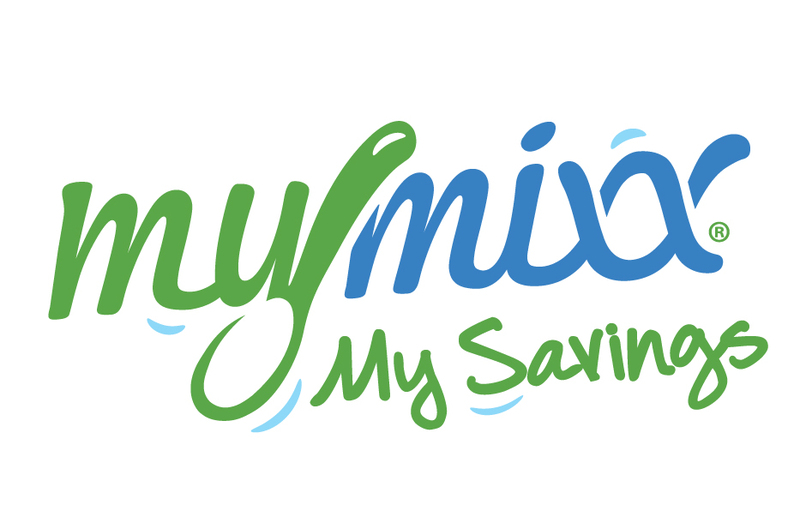 I'm looking forward to MyMixx Week 3! 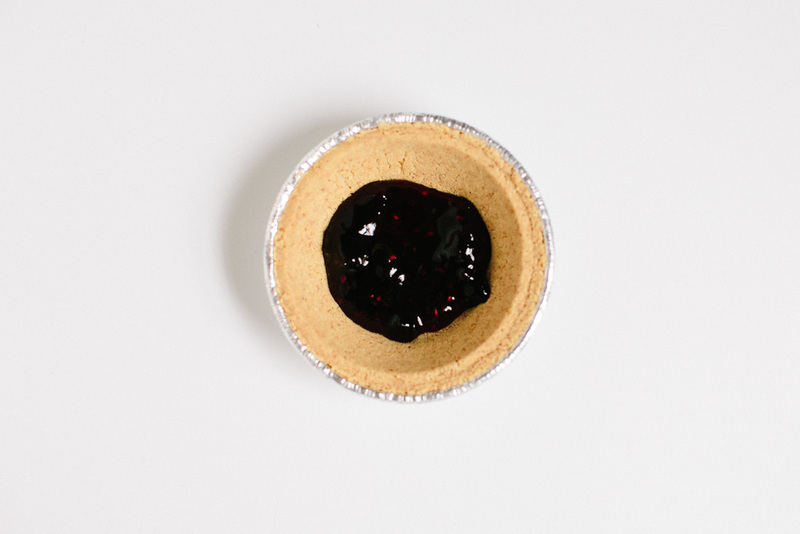 Spoon the no-bake peanut butter cheesecake filling over the jam being careful to maintain clear layers. I found spooning several large dollops of peanut butter filling and then spreading was the easiest method. Using an offset spatula helps as well. In the meantime, pour heavy whipping cream into a chilled glass or metal bowl and beat until soft peaks form. Gradually add the powdered sugar until blended and then do the same with the vanilla extract until stiff peaks form. Place in fridge until ready to use, I recommend making this close to the time the pie is done chilling.